Hammond Hanlon Camp LLC (“H2C”), a healthcare-focused investment banking firm, through its wholly-owned subsidiary H2C Securities Inc. (“H2C”), served as the exclusive financial advisor to John Muir Health (“JMH”), based in Walnut Creek, Calif., in connection with the issuance of $87.025 million in Series 2018A tax-exempt, fixed-rate bonds. JMH retained H2C to advance refund its Series 2009A bonds with a bridge loan. In May 2018, JMH issued $87.025 million in Series 2018A bonds to refinance the bridge loan. H2C led the transaction, formulating the plan of finance and developing the themes for the rating agency presentation. The health system’s Series 2018A bonds priced attractively relative to other healthcare “A”-rated transactions. The Series 2018A bonds have an average life of 37.0 years and an all-in true interest cost of 4.27 percent. John Muir Health is a nationally recognized, not-for-profit healthcare organization east of San Francisco serving patients in Contra Costa, eastern Alameda, and southern Solano Counties. It includes a network of more than 1,000 primary care and specialty physicians, more than 6,000 employees, medical centers in Concord and Walnut Creek, including Contra Costa County’s only trauma center, and a behavioral health center. John Muir Health also has partnerships with UCSF Health, Tenet Healthcare/San Ramon Regional Medical Center, and Stanford Children’s Health. 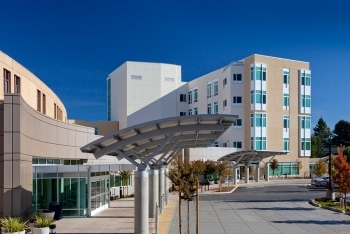 The health system offers a full-range of medical services, including primary care, outpatient, and imaging services, and is widely recognized as a leader in many specialties, including neurosciences, orthopedic, cancer, cardiovascular, trauma, emergency, pediatrics, and high-risk obstetrics care. Hammond Hanlon Camp LLC (“H2C”) is an independent strategic advisory and investment banking firm committed to providing superior advice as a trusted advisor to healthcare organizations throughout the United States. H2C’s professionals have a long track record of success in healthcare mergers and acquisitions, capital markets, real estate, and restructuring transactions, acting as lead advisor on hundreds of transactions representing billions of dollars in value. For more information, visit h2c.com.